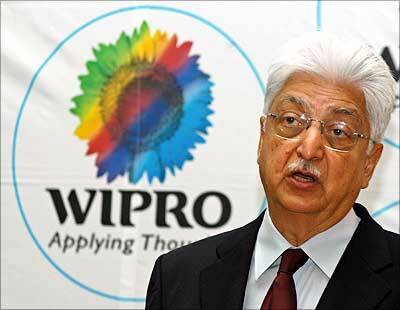 Today I am going to share one inspirational speech by Azim Premji, President and founder of Wipro Technologies. Wipro is one of the brand names in IT outsourcing. Located in over 35 countries with 10 near-shore development centers, Wipro has been declared the 4th largest in the world in terms of market capitalization in IT services having a CAGR of 42% in the last 5 years. Very few people know that IT giant Wipro started as a vegetable oil company in 1947 from an old mill founded by Azim Premji’s father. When he died in 1966, Azim, a graduate in Electrical Engineering from Stanford University, took on the leadership of the company at the age 21. He restructured that dying company into Wipro(Western India Vegetable Products Ltd) Ltd in 1966 into a consumer goods (FMCG) company that was then a $2 million hydrogenated cooking oils/fat company, laundry soap, wax and tin containers and later set up Wipro Fluid Power to manufacture hydraulic and pneumatic cylinders in 1975. In 1977, IBM was asked to leave India, then Azim Premji decided to enter the information technology sector. In 1979, Wipro began developing it’s own computer and in 1981 Wipro became India’s one of the first computer makers. The company licensed technology from Sentinel Computers in the United States and began building India’s first mini-computers. Soon Wipro moved in software delivery and started developing customized software packages for their hardware customers and see today Wipro is one of the fastest growing IT companies of world. "I am very happy to be here with you. It is always wonderful to be with young people. The funny thing about life is that you realize the value of something only when it begins to leave you. As my hair turned from black, to salt and pepper and finally salt without the pepper, I have begun to realize the importance of youth. At the same time, I have begun to truly appreciate some of the lessons I have learnt along the way. I hope you will find them useful when you plan your own career and life. The first thing I have learnt is that we must always begin with our strengths. From the earliest years of our schooling, everyone focuses on what is wrong with us. There is an imaginary story of a rabbit. The rabbit was enrolled in a rabbit school. Like all rabbits, it could hop very well but could not swim. At the end of the year, the rabbit got high marks in hopping but failed in swimming. The parents were concerned. They said, “Forget about hopping. You are anyway good at it. Concentrate on swimming.” They sent the rabbit for tuitions in swimming. And guess what happened? The rabbit forgot how to hop! As for swimming, have you ever seen a rabbit swim? While it is important for us to know what we are not good at, we must also cherish what is good in us. That is because it is only our strengths that can give us the energy to correct our weaknesses. The second lesson I have learnt is that a rupee earned is of far more value than five found. My friend was sharing me the story of his eight year-old niece. She would always complain about the breakfast. The cook tried everything possible, but the child remained unhappy. Finally, my friend took the child to a supermarket and brought one of those ready-to-cook packets. The child had to cut the packet and pour water in the dish. After that, it took two minutes in the microwave to be ready. The child found the food to be absolutely delicious? The difference was that she has cooked it! In my own life, I have found that nothing gives as much satisfaction as earning our rewards. In fact, what is gifted or inherited follows the old rule of come easy, go easy. I guess we only know the value of what we have if we have struggled to earn it. The third lesson I have learnt is no one bats a hundred every time. Life has many challenges. You win some and lose some. You must enjoy winning. But do not let it go to the head. The moment it does, you are already on your way to failure. And if you do encounter failure along the way,treat it as an equally natural phenomenon. Don’t beat yourself for it or any one else for that matter! Accept it, look at your own share in the problem, learn from it and move on. The important thing is, when you lose, do not lose the lesson. The fourth lesson I have learnt is the importance of humility. Sometimes, when you get so much in life, you really start wondering whether you deserve all of it. This brings me to the value of gratitude. We have so much to be grateful for. Our parents, our teachers and our seniors have done so much for us that we can never repay them. Many people focus on the shortcomings, because obviously no one can be perfect. But it is important to first acknowledge what we have received. Nothing in life is permanent but when a relationship ends, rather than becoming bitter, we must learn to savour the memory of the good things while they lasted. The fifth lesson I learnt is that we must always strive for excellence. One way of achieving excellence is by looking at those better than ourselves. Keep learning what they do differently. Emulate it. But excellence cannot be imposed from the outside. We must also feel the need from within. It must become an obsession. It must involve not only our mind but also our heart and soul. Excellence is not an act but a habit. I remember the inspiring lines of a poem, which says that your reach must always exceed your grasp. That is heaven on earth. Ultimately, your only competition is yourself. The sixth lesson I have learnt is never give up in the face of adversity. It comes on you suddenly without warning. One can either succumb to self-pity, wring your hands in despair or decide to deal with the situation with courage and dignity. Always keep in mind that it is only the test of fire that makes fine steel. A friend of mine shared this incident with me. His eight-year old daughter was struggling away at a jigsaw puzzle. She kept at it for hours but could not succeed. Finally, it went beyond her bedtime. My friend told her, “Look, why don’t you just give up? I don’t think you will complete it tonight. Look at it another day.” The daughter looked with a strange look in her eyes,”But, dad, why should I give up? All the pieces are there! I have just got to put them together!” If we persevere long enough, we can put any problem into its perspective. The seventh lesson I have learnt is that while you must be open to change, do not compromise on your values. Mahatma Gandhiji often said that you must open the windows of your mind, but you must not be swept off your feet by the breeze. You must define what your core values are and what you stand for. And these values are not so difficult to define. Values like honesty, integrity, consideration and humility have survived for generations. Values are not in the words used to describe them as much as in the simple acts. At the end of the day, it is values that define a person more than the achievements. Because it is the means of achievement that decide how long the achievements will sustain. Do not be tempted by short cuts. The short cut can make you lose your way and end up becoming the longest way to the destination. And the final lesson I learnt is that we must have faith in our own ideas even if everyone tells us that we are wrong. There was once a newspaper vendor who had a rude customer. Every morning, the Customer would walk by, refuse to return the greeting, grab the paper off the shelf and throw the money at the vendor. The vendor would pick up the money, smile politely and say, “Thank you, Sir.” One day, the vendor’s assistant asked him, “Why are you always so polite with him when he is so rude to you? Why don’t you throw the newspaper at him when he comes back tomorrow?” The vendor smiled and replied, “He can’t help being rude and I can’t help being polite. Why should I let his rude behavior dictate my politeness? In my youth, I thought of myself as a rebel and was many times, a rebel without a cause. Today, I realize that my rebellion was another kind of conformity. We defined our elders to fall in line with our peers! Ultimately, we must learn to respond instead of reacting. When we respond, we evaluate with a calm mind and do whatever is most appropriate. We are in control of our actions. When we react, we are still doing what the other person wants us to do. I wish you all the best in your life and career. I hope you achieve success in whatever way you define it and what gives you the maximum happiness in life.